Asplan Viak is an interdisciplinary architecture and consulting company with 900 employees in 30 locations in Norway. International activities through Norplan. 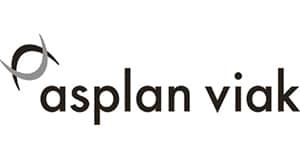 Asplan Viak is one of Norway’s largest companies of consulting engineers and architects. We have approximately 900 staff spread across 30 office locations. The organisation is divided into two divisions: Planning & Architecture and Building & Infrastructure. Asplan Viak provides multidisciplinary consulting services in architecture, buildings and constructions, urban- and landscape planning, energy and environmental engineering, technical installations, transport, geoinformation and visualisation, water- and environmental engineering. We focus heavily on interdisciplinary collaboration to solve the complex challenges of the future. We spend significant resources to ensure the best possible communication solutions between our 30 offices and the best possible tools for managing the development of expertise. Asplan Viak allocates substantial funds for its own R&D projects and projects in cooperation with research institutions. The Evenstad Zero Emission office building.